According to a research study at John’s Hopkins University – pregnant women are willing to stop smoking if you pay them money along the way. The research study was completed at the Center for Addiction and Pregnancy with results that were quite positive. 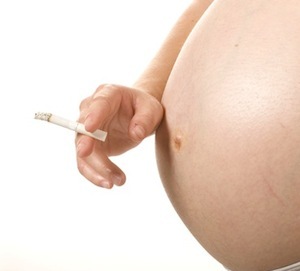 Smoking during pregnancy is associated with pregnancy complications. Women who are addicted to heroin smoke cigarettes up to 99% of the time while they are pregnant. Researchers at John’s Hopkins University wanted to reduce that number dramatically, so they chose a contingency management program to see if women receiving methadone would be willing to stop smoking with a little monetary reward. The amount of the money the women received grew as the pregnancy progressed. During the first few weeks the women needed to just lessen the number of cigarettes they smoked, but by the 12th week, they needed to test negative for carbon monoxide, found in cigarettes, or they were forced back to the lowest incentive level to start all over again. There were two other groups of women included in the study. One group received monetary incentives for meeting scheduled goals, but the incentives were set and were not connected with smoking behaviors like the first group. The final group of women was taught about the dangers of continuing to smoke, but they were not offered any money for quitting. By the end of the study all groups showed some progress in smoking cessation. The contingency group performed exponentially better than the other two groups. Some of the women reached then 75% reduction goal and a few even met the 100% abstinence goal. None of the women in the set monetary incentive group reached 100%, but a few managed to hit the 75% goal at least once. After the experiment, the women in the contingency group continued to follow the healthier path. There was a measured reduction in premature births of up to 12% and low birth weight of up to 23%. The women also tended to be more adamant about smoking less after their babies were born. John’s Hopkins University did not reveal how much money the women were offered to quit smoking or if the contingency rewards were higher than the non-contingency rewards. While paying women to stop smoking may not be the answer in all communities, researchers believe that certain populations, especially women fighting to stop drug addiction, may benefit from the monetary incentive. Source: John’s Hopkins University Center for Addiction and Pregnancy. June 25, 2012.